Google-owned Motorola tries to do to smartphones what Chromebooks have done for computers. “A smartphone for all” was the tagline to the Moto E’s press invitation. The ethos behind suggested a smartphone with a low price tag, but one retaining enough functionality to appeal to the masses. The philosophy isn’t unheard of in the technology space; Motorola’s parent company, Google, advocates similar sentiment with its range of Chromebook computers. 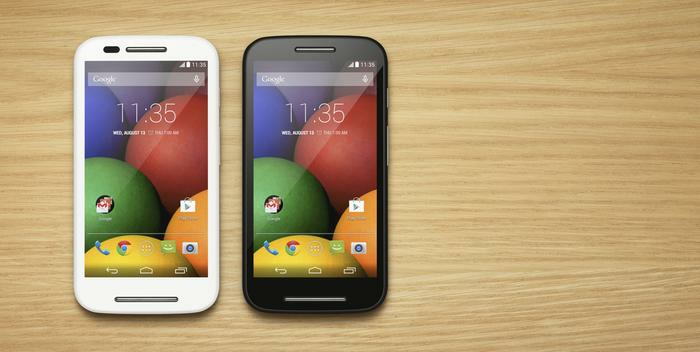 The events, held in London and India overnight, were dedicated to the dual-sim Moto E, an introductory smartphone with a low US$129 price, and an upgraded version of the popular Moto G.
Australian pricing for the Moto E has not been announced yet, but Motorola Australia account director, John Demezieres, said the smartphone will have a sub-$200 price tag. "We're expecting the Moto G and Moto E to launch at the end of June in Australia,” Demezieres added. 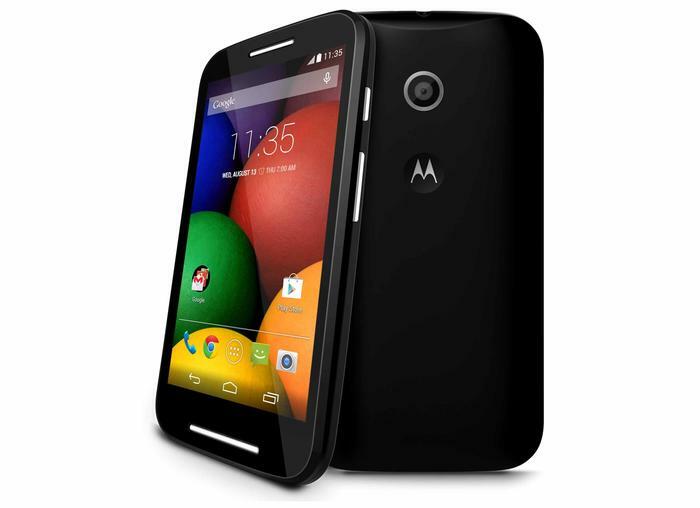 The Moto E has a 4.3-inch, 540x960 resolution screen for a density of 256 pixels-per-inch. Protecting it is scratch resistant Corning Gorilla Glass 3 and a coating that makes it resistant to water. Inside the smartphone has a 1.2GHz dual-core CPU, 1GB of RAM, 4GB of internal storage and support for 32GB of microSD memory. This humble hardware runs a near-bare version of Android 4.4 KitKat. Motorola add a few applications, but otherwise the software is similar to that of Nexus smartphones. The back wears a 5 megapixel camera. Video recording at a resolution of 854x480 hints at the smartphone’s cheap price, as does the omission of a front-facing camera. Motorola estimates the 1980 milliamp-hour battery will deliver 24 hours of mixed usage before needing a charge. Connectivity is admirable with the inclusion of a 3G modem, Wi-Fi (802.11n), Bluetooth 4.0 and support for GPS. Good Gear Guide was invited for a product demonstration by Motorola. Even with its humble hardware, the Moto E retained the quick operations that have made the Moto G a success. A review will go live on the site closer to the smartphone's release. A version of Motorola’s Moto G equipped with expandable microSD storage and 4G connectivity was also announced. Demezieres estimates the 4G Moto G will have a $350 retail price when it launches in Australia late in June.